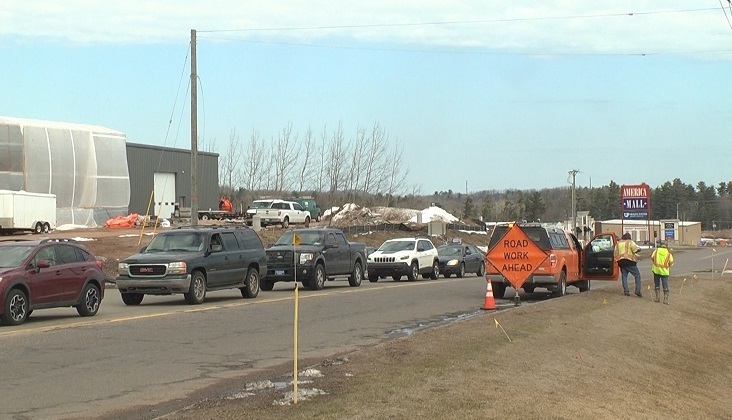 MARQUETTE –The Michigan Department of Transportation has begun construction on US–41 and M–28 in Marquette Township. Several years ago, they installed a temporary traffic signal to help with the flow of traffic and to prevent accidents. The Michigan Department of Transportation believes a roundabout is the best solution for keeping the community safe. “It forces everybody to slow down, as they are coming into the commercial corridor. It will reduce delays, so it’ll move traffic through smoothly. Roundabouts seriously decrease the number of crashes and the serious crashes at intersections,” said Dan Weingarten, Communications Representative for the Department of Transportation. MDOT says, you should expect delays in the construction zone and plan on leaving extra time if you are traveling through there. The roundabouts are expected to be open to traffic by the fall of 2019.